EVANSTON, Ill. – The Iowa offense has gone missing again. 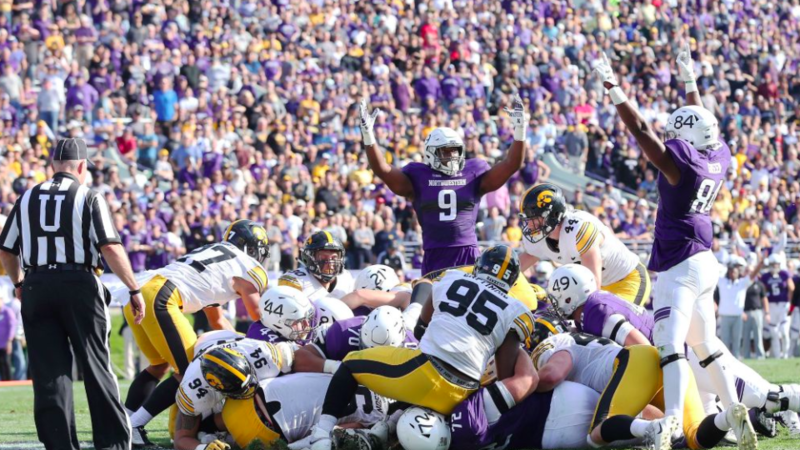 Another lackluster performance on the road means trouble for the Hawkeyes, who dropped today’s contest against Northwestern by a score of 17-10 in overtime. Despite early success, the offense sputtered in the second half, and the injury-filled defense could not hold on the whole time. The Hawkeyes got into Northwestern territory on each of their firs two drives, but came away empty each time. Neither team managed to get points on the board in the first quarter. It looked as though a scoreless first half was a possibility until just 40 seconds remained in the first half. That’s when Nate Stanley found a wide-open Noah Fant for a six-yard touchdown pass. The Hawkeyes took the 7-0 lead into halftime. At the half, Iowa had outgained Northwestern 238 yards to 107 yards. Northwestern’s star running back Justin Jackson had carried the ball nine times for just 30 yards. But that was just the first half. In the second half, Iowa’s offense did not move the same way it did before intermission. Each of the first three possessions resulted in punts, two of which were three-and-outs. The Hawkeyes finished the game with 312 yards of total offense. That’s means they produced just 74 yards in the second half and overtime. All the momentum shifted to the Wildcats. While the Hawkeyes were going three-and-out, the Wildcats tied the game on a Jeremy Larkin six-yard touchdown run with 7:19 to go in the third quarter. The Wildcats would get a field goal from Charlie Kuhbander two possessions later to take a 10-7 lead with just over eight minutes to play. Looking to get something moving a couple drives later, Stanley fired a deep ball to Ihmir Smith-Marsette, but the freshman receiver had cut his route off short. The miscommunication led to an easy interception for JR Pace. But again, the Iowa defense stopped the Wildcats on fourth down. 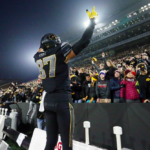 The Hawkeyes marched on the next drive and found themselves facing a fourth-and-inches situation at the Northwestern 26-yard line. 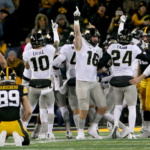 A false start from three Hawkeyes forced the field goal unit to come on instead, and Miguel Recinos knocked in a 48-yarder to tie the game with 1:30 on the clock. Northwestern ran it out and went to overtime. In overtime, the Wildcats scored on their first possession. Quarterback Clayton Thorson rushed up the middle for a one-yard touchdown to go up 17-10. The play was set up by a 23-yard catch and run from Justin Jackson, in which he made four Hawkeyes miss tackles. Jackson would finish the game with 132 all-purpose yards (93 rushing, 38 receiving). Iowa gained just seven yards on its first three plays in overtime and was forced to go for it on fourth down. Stanley targeted Fant on the same play as their first half touchdown. This pass hit Fant square in the numbers, but he couldn’t bring it in. The drop ended the game and dropped Iowa to 1-3 in the Big Ten. The defense put up another great fight in this one, and did so most impressively without their two main signal callers. Josey Jewell and Brandon Snyder each missed the game due to injuries sustained during the Illinois game two weeks ago. Jewell injured his right shoulder during the Illinois game and was not cleared to play today’s game. Snyder’s knee saw swelling after getting his first action since tearing his ACL, so he also was unable to go. Instead, senior linebacker Kevin Ward got the start on the outside as Ben Niemann moved into Jewell’s middle linebacker spot. Jake Gervase started in Snyder’s place at free safety. The defense picked up their missing teammates. Linebackers Bo Bower and Niemann were first and second on the team in tackles with 12 and 11 respectively. Gervase added six tackles, while Ward had four in his first career start. The defense rose to occasion again, engaging the Wildcats in your traditional, smash-mouth, grit-filled Big Ten football game. In the end, it wasn’t enough as the offense had its struggles. Stanley was 13-for-19 in the first half, but finished the game just 19-for-33 passing. Akrum Wadley was bottled up for much of the game too. On 26 carries, he still managed to find his way to 90 yards, his longest run being good for 22 yards. For whatever reasons, the offense wasn’t ready coming out of the bye week. The offensive line wasn’t able to get a push like it did two weeks ago against Illinois. Apparently, there is still work to be done on that front. 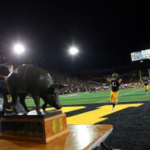 Next week, the Hawkeyes (4-3, 1-3) return home next week to take on Minnesota in the Floyd of Rosedale trophy game. Start time is 5:30pm CST on FS1.